Conservator, Amy Abbe, will discuss her process in a slide show presentation and will show examples of works she has restored. 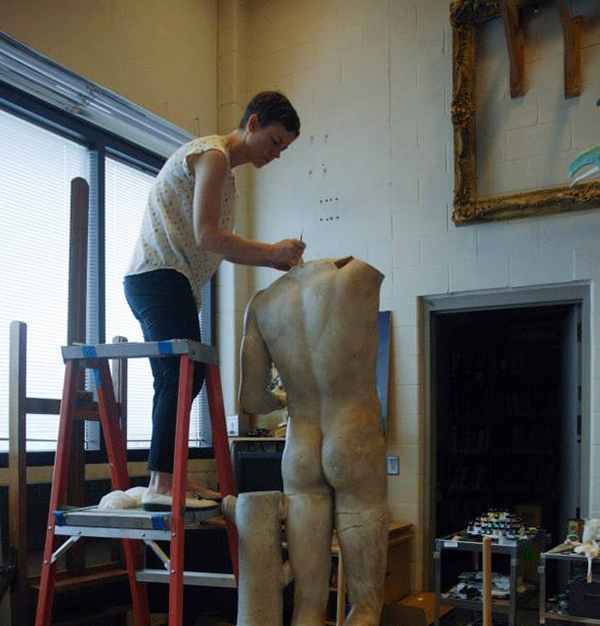 Amy trained and worked as a sculpture and objects conservator for more than 15 years in museums and institutions in the Northeast, and is now living in Athens, Georgia, and serving the Southeast region. She worked previously as an Associate Objects Conservator at the Metropolitan Museum of Art. She’s also worked for other major NYC institutions, including the Guggenheim Museum and the American Museum of Natural History, and for a prominent private conservation studio. She completed advanced internships at the Walters Art Museum and Harvard Art Museums and has also been a site conservator on multiple excavations in Turkey.